We are on our way up to York! 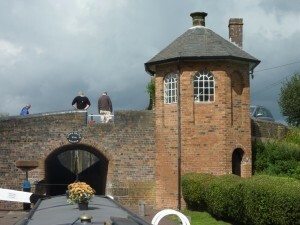 This a big adventure for us, we have mostly stuck to the Midlands narrow canals in the past. We need to arrive in York before 15th Sept. as we are attending a friend’s wedding. We think the journey will take about 12 days, so we set off in plenty of time to allow for delays. Today’s weather was really odd, periods of sunshine and some terrific heavy storms. We got to Compton and there was hardly any mooring space, but we squeezed in between two boats above the lock.